Humans began inhabiting Southwest New Mexico at least 11-12,000 years ago (some think even earlier! ), and cultures have been hunting, farming, and creating art in this region ever since. Most of their imprint is still here, telling the stories of multiple generations and cultures adapting to the landscape as it adapted to them. Whether it&apos;s ancient art preserved in a museum or an authentic saloon where settlers and vagabonds stopped in for a pint and that locals still consider a favorite watering hole, history is still very much alive in Southwest New Mexico. Some of the earliest known inhabitants of the area were the Mimbres people, a sub-community of the Mogollon—the name archeologists gave to early Puebloans of that region. The Mimbres people were initially hunter-gatherers, but they transitioned into the more stationary, settled lifestyle of the Puebloans. The Mimbres people are most known for their incredible pottery, specifically the paintings decorated on them. Their first decoration of geometric shapes on red and brown clay has been dated back to 600 A.D., but the iconic black shapes on a white background design was developed about 150 years later and remained their signature artistic vision for centuries. TheWestern New Mexico University Museum has an impressive display of the Mimbres’ prehistoric artwork. 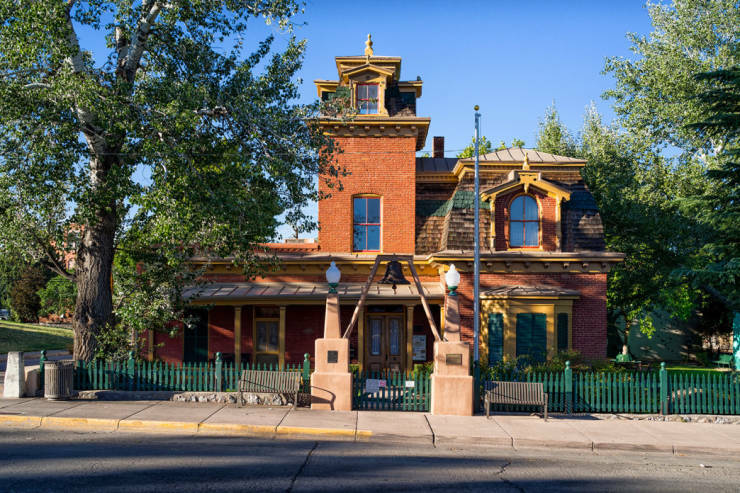 It’s currently undergoing a transformative renovation, and a temporary display is located in Watts Hall in Silver City. The Apache migrated from the north to New Mexico, Arizona, and Northern Mexico about a hundred years after the Pueblo Indians vacated the territory. Although the precise timeline is disputed, it is estimated to be in the 1400s or 1500s. The Chiricahua Apache were known by the settlers for their incomparable warriors, hunting skills, and overall resistance to assimilation. While the Apache believed the land to be theirs by divine heritage bestowed by Ussen, their Creator, they tolerated the settlers at first. As the settlers continued with their expansion, conflicts between the two cultures heightened as the Apache raided and attacked the settlements to chase the settlers out of their land. It was a constant back-and-forth of aggression—with varying levels of violence from stealing from businesses to calling for the scalps of Apaches—between the two groups that lasted for more than 200 years. Geronimo was a major leader in the Chiricahua resistance and lead raids on settlers while remaining elusive to the army. He was caught a few times, but always managed to slip away and take other captives with him. Ultimately, after years of flight and fight, he surrendered and spent the last of his years in exile, finally falling from his horse, lying all night in the cold, and dying of pneumonia. Mining, of course, complicated relations between the Apache and the settlers. The Santa Rita del Cobre Mine, now operating as the Chino Mine, is located right in Bayard, New Mexico and was the site of many such conflicts. Raids on the mine, which was worked by convict laborers, were so severe and damaging that the mine closed for a few decades until the 1850s. 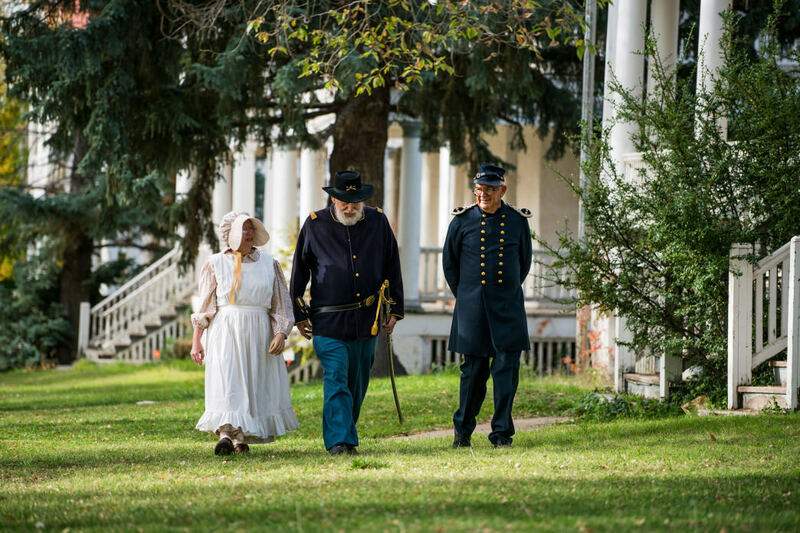 During that time, Fort Bayard was established with an eye on the East, as the Civil War was raging and the U.S. Army moved to establish holdouts against Confederate forces. In practice, Fort Bayard was used to gain control over a land that seemed impossible to steal from the strategic Apache. Particularly toward the end of the Apache Wars, Buffalo Soldiers played an integral role at Fort Bayard in securing American control over the Southwest territory. The soldiers based at Fort Bayard protected ranchers and miners, as well as the emigrant and trading/routes established in the Western Expansion, from Apache attacks. In addition to securing the Western Expansion against the threats of Confederacy and providing defense against Apaches who maintained spiritual and ancestral claim to the land, the Buffalo Soldiers also provided settlers with protection against rogue bandits who traveled outside the settlements and were a danger to most everyone they encountered. One such outlaw was the famed Billy the Kid, born as William Henry McCarty, Jr. and also known as Henry Antrim and William Bonney. 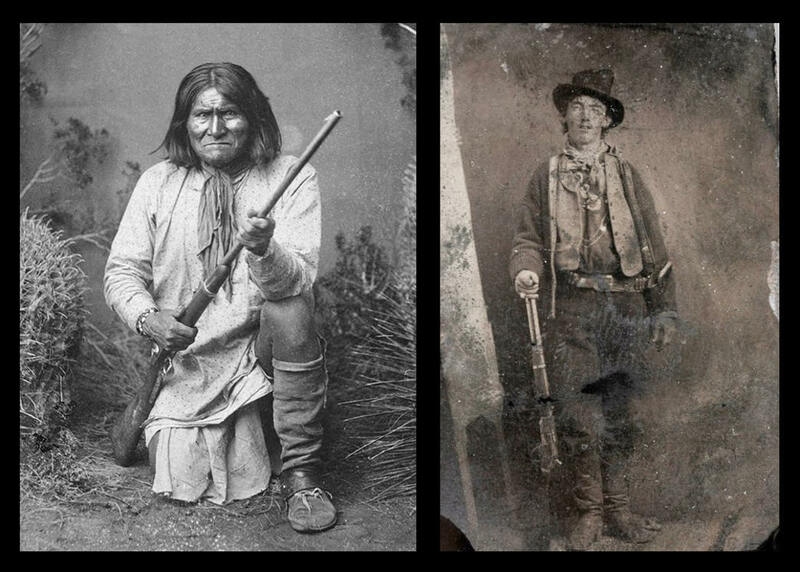 While Billy the Kid was indeed an outlaw, his exploits and impact were very minimal in the scope of criminal Americans. His truth is buried in folklore. He’s been reborn a dozen times as both hero and villain, antihero and demon. Born in New York City in November 1859, the Kid was orphaned by age 15 and got involved in petty theft. He found his way West and his cunning, charm, and temper got him in and out of trouble. He mainly stole horses and committed heists and robberies, but the young criminal wasn’t afraid to shoot his way out of a sticky situation. One legend claims he killed 21 people in his life, though that number is likely highly exaggerated. He was ultimately shot and killed by Sheriff Pat Garrett, who later wrote a sensationalized book, The Authentic Life of Billy, the Kid. Garrett was concerned about his damaged reputation since shooting the Kid and hoped the book would save him some face, but it was barely read and did little good. It was the first of many books written about Billy the Kid, but none seem to escape the lure of romantic sensationalism. While so much has happened deep in the region’s past, it’s by no means a dead culture or community of ghosts. 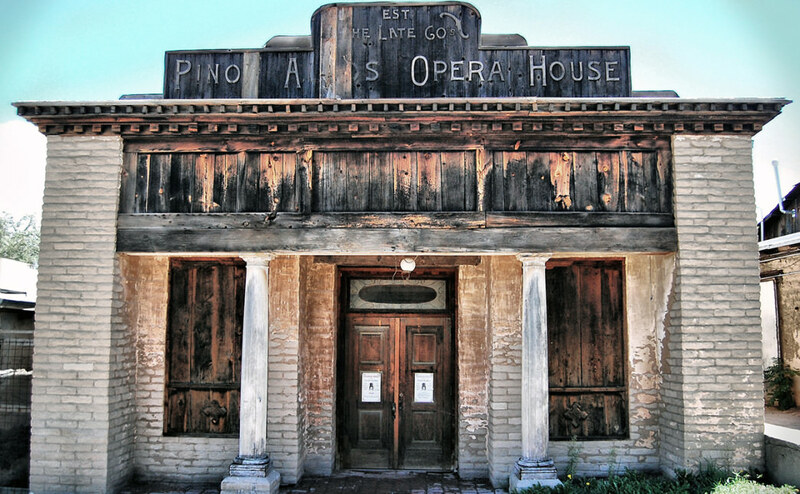 There are plenty of authentic saloons and other buildings that help keep the spirit of the Wild West alive while embracing modern music, food, and fare. Signs of the times, past and present, can be found all over Southwest New Mexico, but the Silver City Museum is a great spot to gain one’s footing in the cliffs and canyons of history.